Updating your home’s look doesn’t have to cost a fortune. With a few well-placed accessories, it’s easy to freshen up the look of any room in your home in minutes — without breaking the bank. Looking for inspiration? 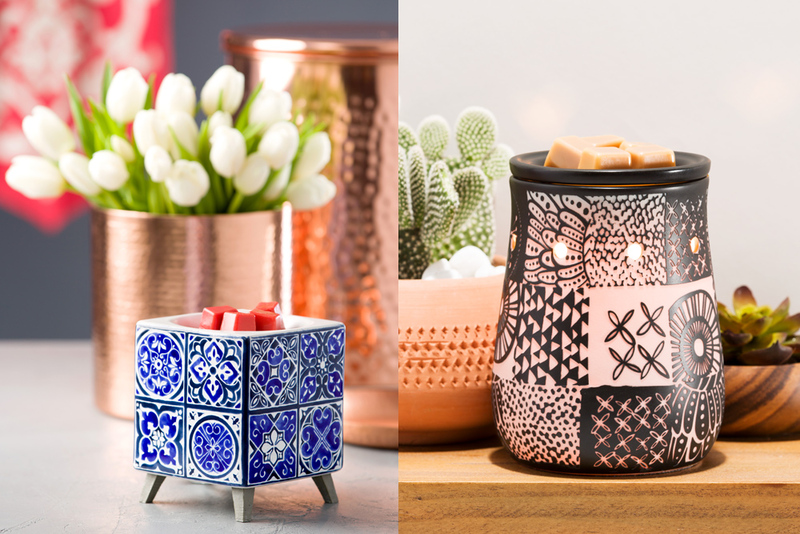 Since we’re still swooning over the Spring/Summer 2018 Catalog, we’ve recommended warmers that’ll fit right in with this season’s hottest décor trends. A perennial favorite, country goes chic with familiar, weathered, well-loved pieces (think Fixer Upper meets Grandma’s kitchen). Freshen up repurposed items — like an old door made into a rustic table, an antique pitcher filled with flowers, or old farm equipment as wall décor — for a warm and comforting look. For warmers that complement this trend, check out Vintage Crock and Lone Star. Funny or inspiring phrases in playful fonts have been springing up EVERYWHERE, from prints to pillows to wall decals and even coffee mugs. The great thing about this trend is it can add a little sass and personality to any style. Play around with different typefaces and look for sayings that resonate with you and your family. 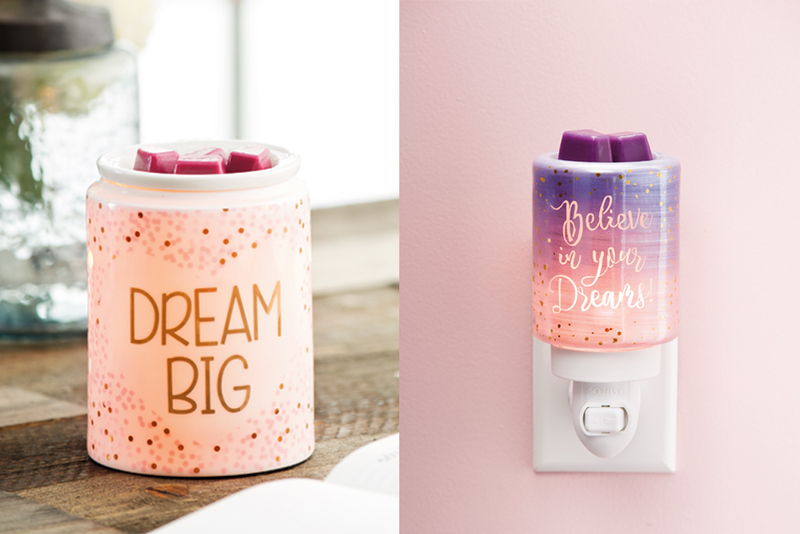 For warmers that complement this trend, check out Dream Sparkle and our Believe in Your Dreams Mini Warmer . Shabby chic adds a fresh, feminine flair to antique décor. From weathered pieces to whitewashed furniture, cabinets and flooring, feel free to mix and match pieces and prints. And don’t hold back on soft, faded florals and lace! For warmers that complement this trend, check out English Breakfast and Prairie Pitcher. Bold, bright patterns are a colorful way to spice up any room. Intricate tribal tapestries or pottery look equally at home in modern and rustic environments. Whether it’s a fun batik print curtain or a bold throw, tribal prints can add a hint of mystery and cultural charm. For warmers that complement this trend, check out Indigo Tile and Modern Tribal. After a season of cold, damp weather, bringing in artifacts from the great outdoors can be a brilliant way to breathe new life into a space. From pretty blooms to budding branches, simply take a walk outside and draw inspiration from your blooming surroundings. To make the most of this trend, try colorful floral bedding, or simply fill a vase with freshly cut flowers from your garden. 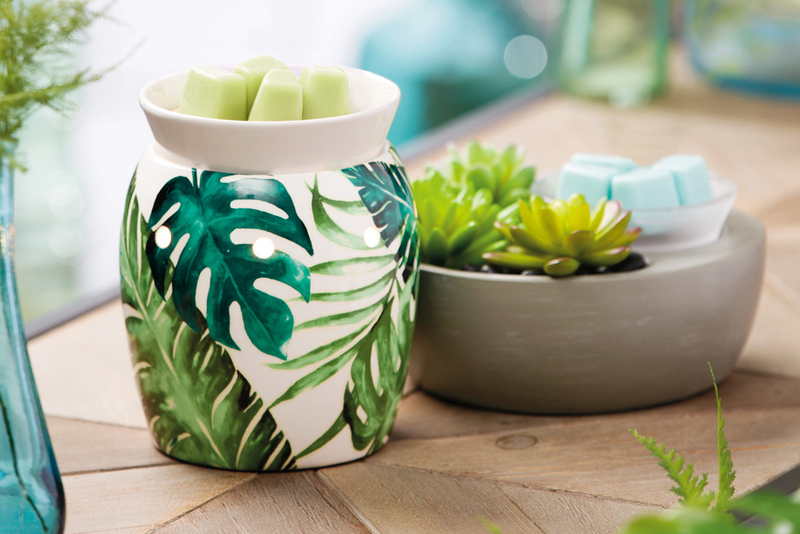 For warmers that complement this trend, check out Rainforest Fern and Little Garden. Another perennial favorite, coastal décor is bright, fresh and tranquil. Adorn your walls with soft blue hues or bold navy and crisp white, and add accents with some artifacts from a recent beach day. Fill a vase with beach glass, hang a net on the wall to pin treasures you find, or make a centerpiece with sand and seashells. 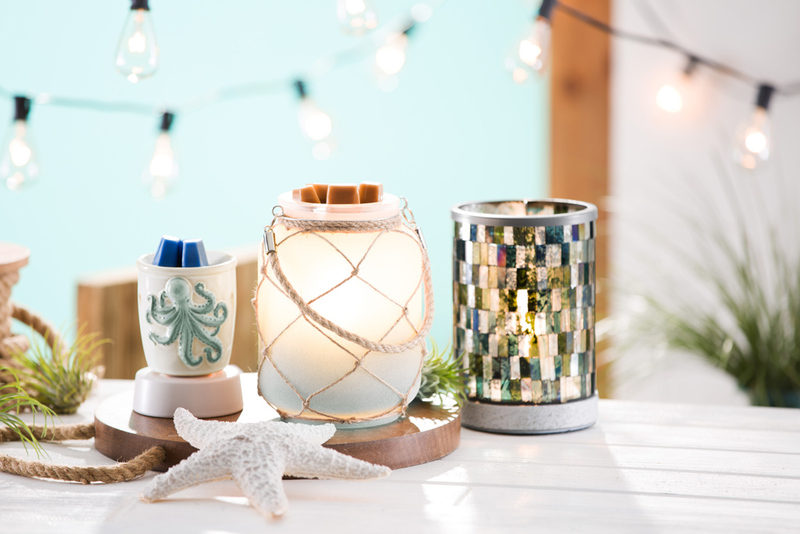 For warmers that complement this trend, check out Seas the Day and our Octopus Mini Warmer. Summer vacations are made for travel! Celebrate your adventurous side with mementos from your travels. 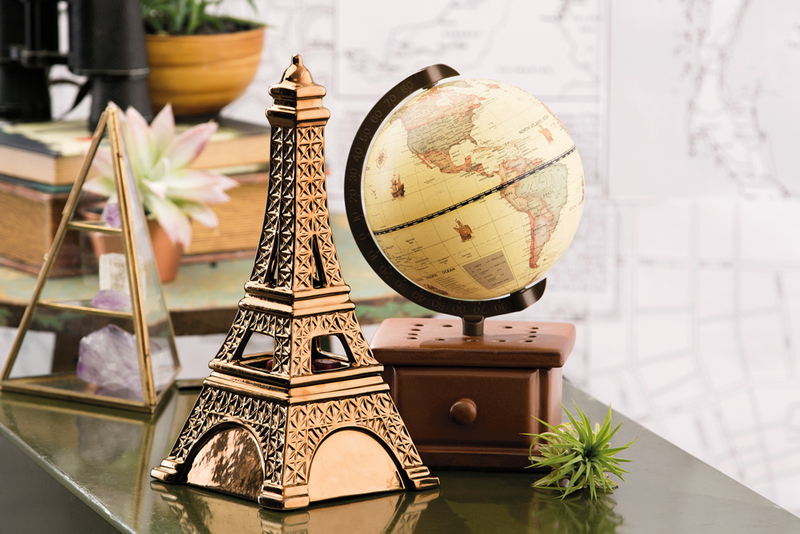 From postcards found in antique shops to photographs of your favorite destinations, pull in souvenirs from places you’ve been — or places you’ll go! 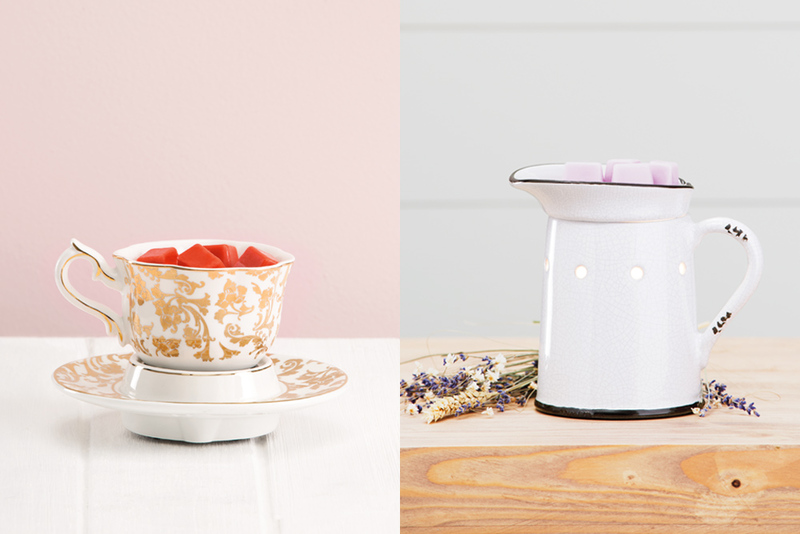 For warmers that complement this trend, check out Midnight in Paris and Around the World. 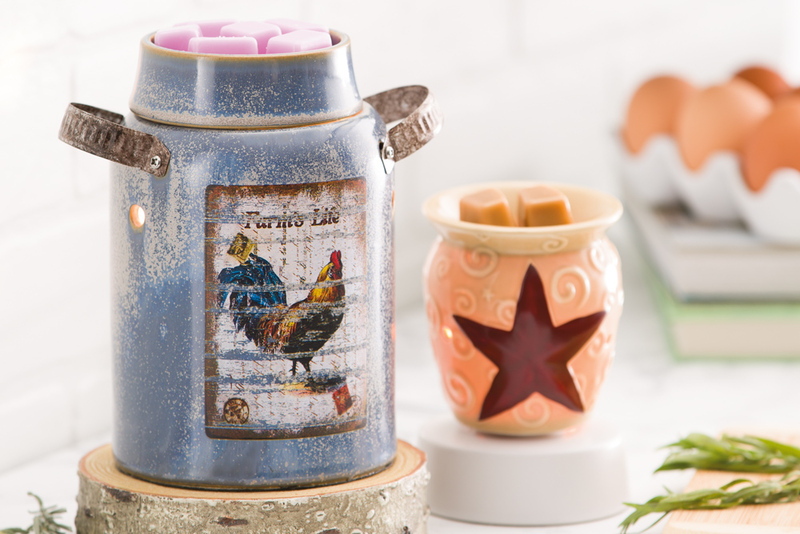 Want more on-trend recommendations to freshen up your place with Scentsy style? Contact your Scentsy Consultant. Don’t have one? Find one here. Separator image Posted in Home Décor, Our Products. I soooo needed this inspiration today! Thank you Scentsy!